The comedian and creator of The Office, Extras and Derek returns to the six-episode sitcom format for the first time in five years along with an all-star cast. The Office, Extras, Life's Too Short, Derek. Ricky Gervais is the master of the six-episode sitcom and for the first time in five years, the comic is returning to his TV roots with new series After Life. 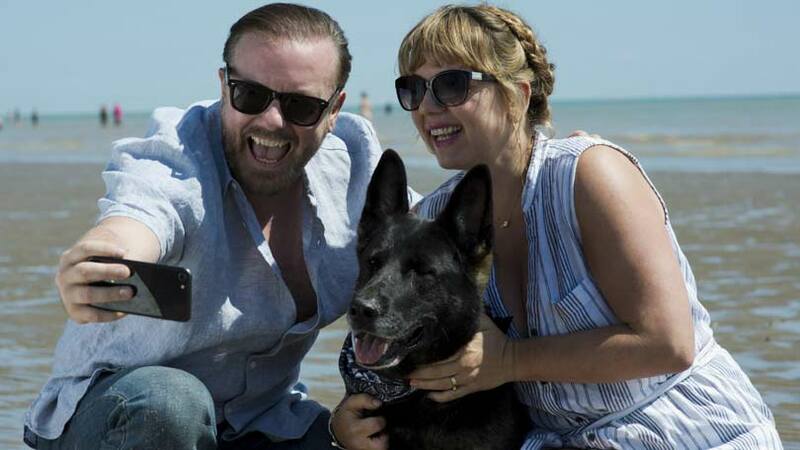 The dark comedy series will be released on Netflix, the home of Gervais' most recent stand-up show Humanity and his satirical film Special Correspondents. It is Gervais' first acting work since the David Brent film in 2016 and his first traditional sitcom since Derek ended in 2014. 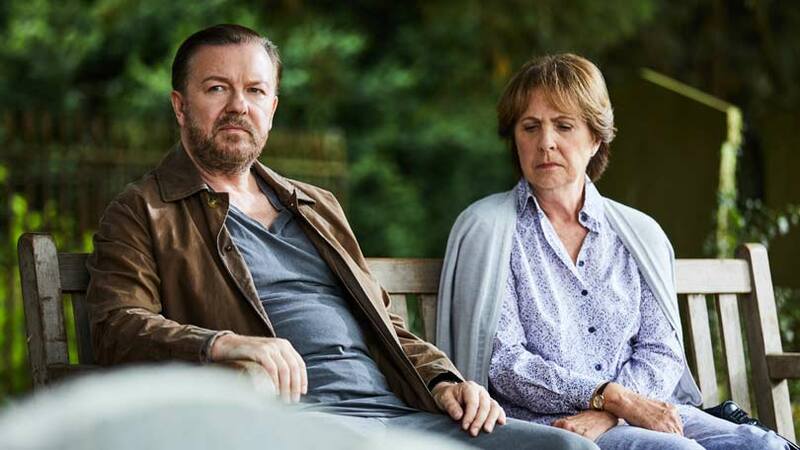 Thanks to a combination of co-stars from Extras, David Brent: Life on the Road and Derek and a sprinkling of British acting royalty, After Life is one of the most highly anticipated TV comebacks of 2019. But if you want a slightly less harsh description of the show, Netflix describes the show as being about the character Tony (Gervais) who at the start of the show has the “perfect life”. "But after his wife Lisa suddenly dies, Tony changes," reads the show description. "After contemplating taking his own life, he decides instead to live long enough to punish the world by saying and doing whatever he likes from now on. "He thinks it’s like a Super Power - not caring about himself or anyone else - but it turns out to be tricky when everyone is trying to save the nice guy they used to know." "There’s nothing you can say that someone, somewhere, won’t misinterpret and find offensive," Gervais told Digital Spy. "You'll say 'Why did the chicken cross the road?' and they'll say, 'Hey, dude, my chicken died yesterday.' There’s always something for someone to find offensive. "Also, it’s not about getting a complaint, it’s about getting a complaint upheld. And I’ve never had a complaint upheld. Because I know what I’m doing." The show sees his character Tony take swipes at Corden and Sir Kenneth, and show contempt for his colleague, played by Diane Morgan, for her love of US comedian and actor Hart. "They get it. I hope they know I’ve got nothing against them," he told the Press Association. "I've met them all, Kevin gave his permission to use a photo. James did an impression of me in his show, I didn't take it personally, it's just fun. "The point of that is that Tony is not up for this frivolity, so when Diane Morgan keeps talking about all these fun things it’s just like 'Please kill me, just shut up'. "I've got no animosity. People will think that though, but as long as they (the subjects) don't, that’s all I care about." "I have always dealt with taboo subjects but probably more obviously comedically and this is the most dramatic," he told PA.
"It is tragic but it’s still somehow funny all the way through, but then so was my mum’s funeral – we were crying and then laughing at stuff, the speeches and stuff, and that is what humour is for. "There is no better tool to get you through bad things, there is no better way to discuss bad things than with a sense of humour, it makes you bullet proof." "I don’t think suicide is the topic. I think the topic is grief, and grief makes you think lots of things," he told Metro. "I don't think suicide is any more the topic than him getting drunk every night. 'It's just that it's final. I think that's why we think it's a bigger subject. It's final, and that's why I think it takes the eye. But again, it exists, and I treat it respectfully." "[My partner] Jane went to Brighton once to visit her mum, and the boiler went and I didn't know how to do it, so I was on the couch under a blanket with the cat listening to internet radio for two nights, because I couldn't get the telly working and it was like, honestly, it was like Castaway," he told The Mirror. "And then when she went away, next time, she left me instructions. She drew a picture of the remotes and what they all did, and I still had to FaceTime her. So I would fall apart without her. I mean, emotionally first. I don't know how I'd cope with it. You don't know, do you?" The first footage of the series was revealed and showcases the all-star cast, some trademark Gervais dark humour and an emotional twist. When is After Life released? All six episodes of After Life are available now on Netflix. Has Trump got the money for his wall or not? A Who’s Who of British comedy, After Life pulls together familiar faces from Gervais’ previous sitcoms and new collaborations. Kerry Godliman (Derek) plays Tony’s wife Lisa, Tom Basden (David Brent: Life on the Road) plays his brother-in-law Matt and Tony Way (Edge of Tomorrow) stars as his best pal Lenny. Broadchurch, Games of Thrones and Harry Potter acting legend David Bradley appears as Tony’s dad. The series will also star Penelope Wilton (Downton Abbey), David Earl (Derek), Joe Wilkinson (Him and Her) and Ashley Jensen (Extras). Gervais’ David Brent: Life on the Road co-stars Mandeep Dhillon, Jo Hartley, Roisin Conaty, Tim Plester and Diane Morgan are also in the cast. Razorlight drummer Andy Burrows, who appeared in Life on the Road, has also collaborated on the soundtrack for the project. Its 18 years since The Office first aired on BBC Two. Created by Gervais and Stephen Merchant, the show was a game-changer for British comedy. The style and tone of The Office can be seen in subsequent British comedy hits such as People Just Do Nothing and This Country, the cast including Martin Freeman, Lucy Davis and Mackenzie Crook went on to become international stars and the show even managed to achieve what previously seemed impossible when it spawned a successful American spinoff. Gervais and Merchant went on to further award-winning success with Extras and the Warwick Davis series Life’s Too Short, before Gervais moved to Channel 4 to create Derek, a comedy set in a care home, which featured his podcast collaborator Karl Pilkington. With that sort of sitcom track record, it’s not surprising that there are high levels of anticipation for After Life. Anyone who follows Ricky on Twitter knows that he’s not even remotely concerned what people think or say about him. The comic’s humour has always blended the dark and sinister with warmth, fuzziness and heart, but After Life looks like it will push the boundaries further than ever before. Not for the easily offended or more sensitive viewer, After Life is expected to shock, disrupt and dismantle viewers’ expectations as it mines one of the biggest taboo subjects for humour – death. Speaking at An Evening With Ricky Gervais event hosted by SiriusXM’s Ron Bennington, the comic revealed: "It starts with his wife saying, 'If you’re watching this, I’m not around any more, I couldn’t say this to your face. You're amazing, but you’re f***ing useless'. "It starts with her leaving a little guide on how to fill the washing machine and stuff like that. [My character] almost commits suicide, but I don’t, because the dog's hungry. That gives me long enough to think, OK I won’t do that… for now. "But I’m going to punish the world. I’m going to start saying whatever the f*** I want." "It doesn’t go as planned. It’s a good guy trying to be a psychopath because he’s hurt." The Office, Extras, Derek, Life's Too Short. After Life is streaming now on Netflix - Netflix membership required.